in the ocean floor feed on detritus or can switch to detritus feeding"
a. Ordovician, specifically the phytoplankton and the nautiloids. "The entire base of the food chain is wiped out"
sources are literally drying up." acidic water. As a result, fish populations around the world are decimated. And as the fish go, all the creatures that rely on them for sustenance go too." e. Eocene - Oligocene, particularly the megafauna. began. Survival depended on traveling long distances to find something to eat." 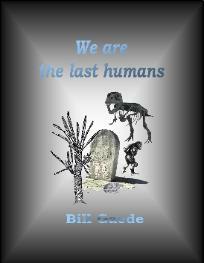 FOOD chains collapsed and the extinctions resulted." is not impact, but hunger. anywhere in the popular or scientific literature! No one invokes starvation as a primary cause of extinction. chain... especially while leaving a neighboring food chain untouched. Here are the primary causes proposed for the five largest extinction events according to the Wikipedia. "Coextinction can also occur… to predators in a food chain who lose their prey." hunger/starvation as the primary cause. "Reduction in availability of plant food as a whole"
WILL definitely become extinct? Is there any doubt? 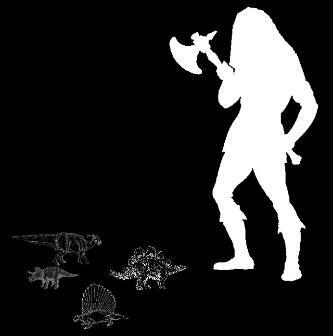 refer to the inversion of the ecological pyramid as the ultimate cause of the demise of the dinosaurs. and for all and stop disorienting people. one belonging to a mathemagical paleontologist. eruption, an asteroid or a sudden change in climate or environmental conditions for starvation to take its toll. If we don't, those same sites should remove asteroids, earthquakes and volcanoes from their list of causes. Neither asteroids nor volcanoes ever caused the extinction of a single species on Planet Earth! habitats along the continental shelves... Gamma ray burst from a nearby super or hypernova. extraterrestrial body has also been suggested. 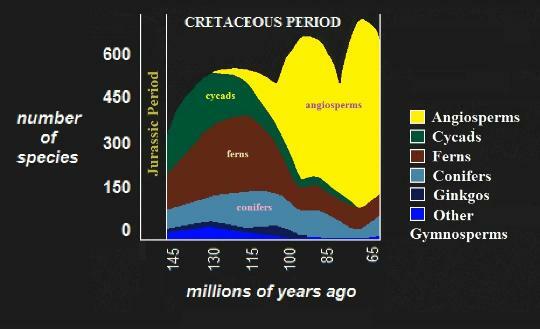 Cretaceous: asteroid impact, volcanic eruptions, climate change, and/or sea level change. years ago which is around the time when life is alleged to have radiated -- the exact time is not important. Is it possible to predict what will happen to plants in the next 500 million years? the global war against the flowering seed and fruit plants that dominate the landscape today. ferns, conifers and angiosperms. There was nothing else to eat! in tracheophytes, particularly those with lots of lignin (Haq & Konikkara 1989). inversion of the population pyramid of plants! "Globally, plants experienced their greatest losses during the Permian extinction. well as the seed fern Glossopteris." to a catastrophic agent. It had solely to do with the inversion of the population pyramid of plants. Jurassic and Cretaceous ultimately depended WOULD invariably vanish one day. dominated the Age of Cycads. 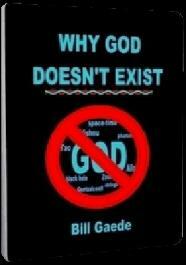 necessarily disappear WHEN their genetic diversity disappeared and their population pyramids overturned. that depended on them disappeared as well. 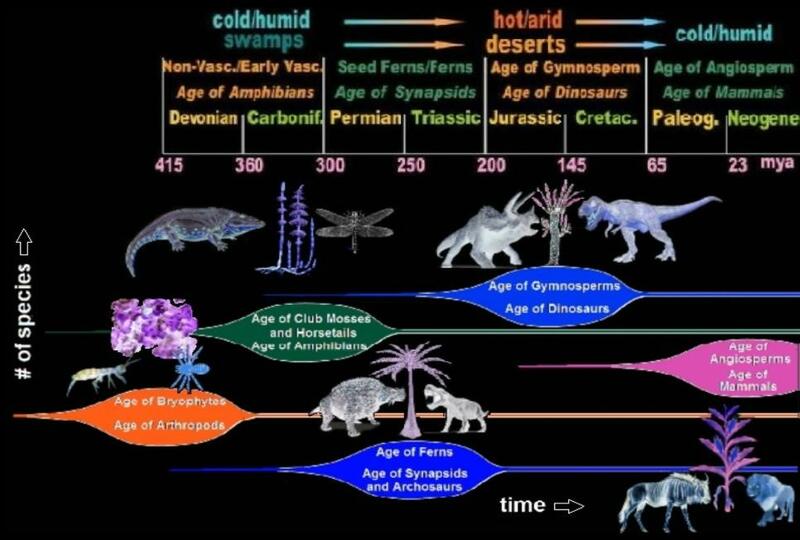 gradually replaced gymnosperm on the landscape in the last 50 million years of the Cretaceous? plants are GOING to disappear NO MATTER WHAT and are going to be replaced by more advanced plants. DISAPPEARING ALL ON THEIR OWN WITHOUT THE NEED FOR A TRIGGER!!! The challenge is for the skeptic to find such a theory anywhere on the Internet.